In early 2016, Hotmail became Outlook and rest is history. It is famously known as an email application but it’s a lot more than that. It also includes a Calendar, Task Manager, Contact Manager, Note Taking, Journal and Web Browsing. Microsoft outlook has had 4 updates till now, latest one in 2016. It is also available as an application supported by Android and IOS devices since 2015. Microsoft Outlook was also released for classic Mac OS but it was made available to users from administrators or by download. The final version for Outlook for Mac is 2001. Microsoft Entourage was also released in 2001 for Mac OS X, an Outlook like application but it had some limitations and was replace with Outlook for Mac in 2011. Sending Limits: 300 Emails a day or 100 recepients a day. 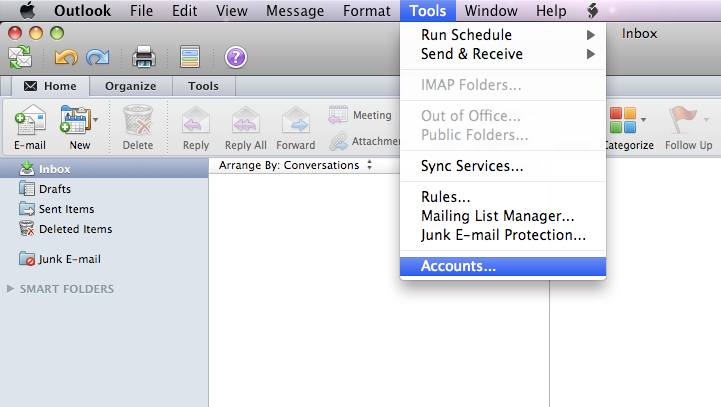 Select “Accounts” from Tools menu of Outlook Mac 2011. Choose the mail account you want to setup as SMTP Outgoing Server. In the Authentication drop down box, click to select Use Incoming Server Info. Create a new email and try to send it to your self or another person. Now that you know all about Gmail and SMTP, Let’s make it more productive with SalesHandy!